If It Wasn’t Rugby, What Game Was Eddie Jones Playing? As we all know by now, what Italy played on Saturday was not rugby. This came as a surprise to most of us, because we thought their game-plan was rooted in an intimate understanding of rugby. As always, though, Eddie Jones put us right, telling us that the laws of rugby don’t actually apply to real rugby, and that James Haskell showed himself to be an unquestionable player-of-rugby by not knowing them. France Without Fofana: a Wounded Beast? France without Wesley Fofana: a wounded beast? It certainly seems so. Much excitement surrounded the appointment of Guy Noves as France’s head coach in 2015. He was esteemed to be the man to guide Les Bleus back to their former glory, dominating European rugby and claiming the occasional southern hemisphere scalp to boot. Most eagerly anticipated, though, was the revival of flowing rugby, of a back line brimming with flair and panache feeding off forwards’ dominance. 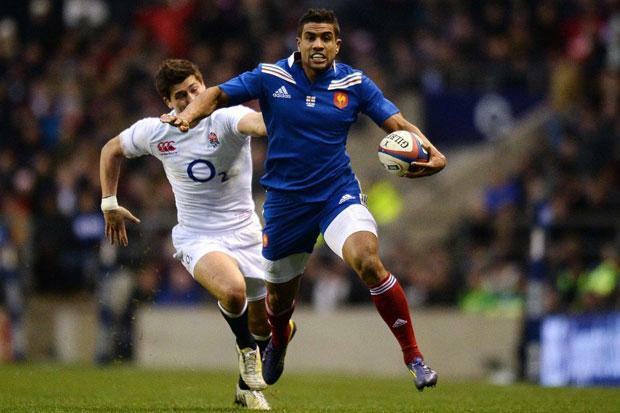 With Wesley Fofana sidelined with an Achilles Tendon injury however, France do not appear the finished article and have struggled out of the blocks. The French switched off against England and only just edged past Scotland. They have only scored two tries in as many games, whilst conceding three – nowhere near try bonus territory. Without any out-half staking a steady claim to the French 10 shirt and an inexperienced back line, Noves’ men are struggling with game management and creativity. The Clermont Auvergne inside centre’s absence has not gone unnoticed. Noves’ game plan has been simple: bully the opposition with a huge pack and field a back three who know their way to the try line. It is characteristic of a man whose rugby nous has been nurtured for decades in Toulouse and suits the opportunistic Fofana down to a tee. However, whilst there is no shame in losing narrowly to the current England side and beating a Scottish outfit capable of doing a number on the Irish is commendable, the French appear lacklustre. They have had a shaky start to the six nations and their execution requires improvement. Fofana’s defensive organisation and predatory attack are being noticeably missed. Having scored a try in each of his first four tests in 2012, his international form hasn’t ever looked like dipping. Any English fans watching in 2013 can attest to his try-scoring ability. Whilst Gael Fickou is a tremendous talent, consider a back line in which he is substituted for Fofana. France’s 10, 12, 13, 14 and 15 would all be starting Clermont clubmen. Add to that the possible inclusion of the highly experienced Parra at 9. Such cohesion could only be positive, especially given Clermont’s current overt dominance in Europe and positive try-scoring approach. If injury-free, Fofana’s contribution would be two-fold: galvanising a blunt attack and marshalling an off-beat defence. Fofana’s other significant contribution is manifest in his defence. It has been discussed that France have lacked control and accuracy in this area of late. This is unsurprising given that Fickou is their most capped back with 25 caps, with Lopez and Lamerat only boasting 13 each and Serin only 7. The players are not yet accustomed to their current set up and are struggling to effectively cohere. This is why the hypothetical Clermont combination across the 10 – 12 – 13 axis, along with 14 and 15, would be so helpful. The French are lacking communication and organisation in defence. Big carries from Haskell and Hughes drew the defence tight in to the ruck. When the ball was shipped out towards Farrell, Fickou read the play well and rushed up on England’s 12, only to hesitate having isolated himself from his lagging teammates and plant his feet. The resulting dogleg defensive line invited Te’o to exploit a clear gap to touch down. Fickou had to make the hit man-and- ball. He was not alone in erring though, as Spedding tracked the play too slowly from deep, whilst Nakaitaci committed far too early, rotating his hips towards Daly out wide. Neither player held a chance of stopping England’s former leaguer from touching down. This is not an isolated example of France’s struggling defensive structures in the wider channels after a few phases. Stuart Hogg also exploited space out wide the following week to dot down against the French, who then also largely reacted lethargically to a deep kick straight after half time to concede again. The French midfield is yet to demonstrate such leadership and, for the time being, offers a weaker alternative to a team including a fit Fofana. Clearly, the French ‘god-of-the-gaps’ will bring a lot to this developing French side when fit and his considerable international experience will count for a great deal in amongst a fairly recent back line. France will be buoyed by having beaten Scotland in their last match though, and after a two week break, perhaps we can expect to see a more settled side turn out against Ireland on the 25th of March.